Summary: Geraldine does NOT want to move. But her parents insist, the family moves, and Geraldine’s father takes her to her new school. 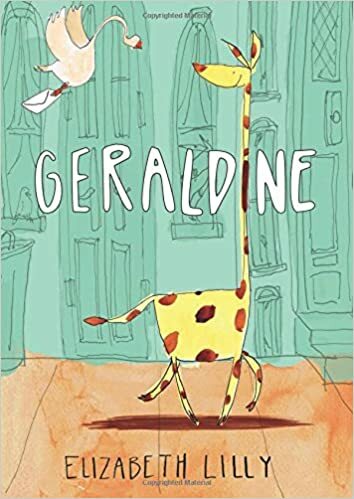 It soon becomes obvious that Geraldine is the only giraffe at her school, and for the first time in her life, she’s shy. It’s hard to hide when you’re nine feet taller than your classmates, but she does her best. One day at lunch, she goes to her usual tree hiding spot, but someone else has gotten there first–Cassie, a girl who has her own reasons for feeling alienated. The two spend lunchtime together, and a friendship begins. The next day, Geraldine pulls Cassie into the cafeteria, and the two give each other confidence to talk to some other kids. Her problems aren’t completely over, but Geraldine feels a lot happier and more sure of herself at her new school. 40 pages; ages 3-8. Pros: A cute story about fitting in while remaining true to yourself. 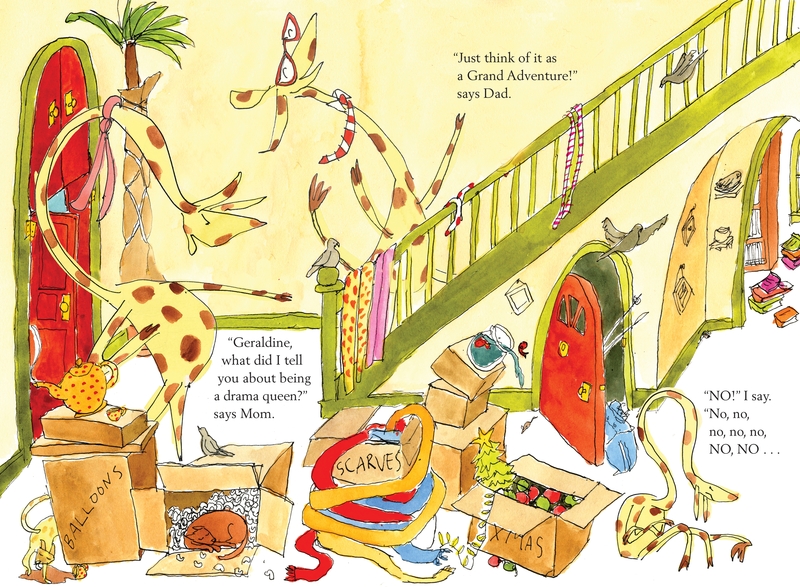 Kids will love the watercolor illustrations and seeing how many contortions Geraldine manages with her long neck. Cons: It feels like a story that’s been told before–although maybe not with a giraffe.